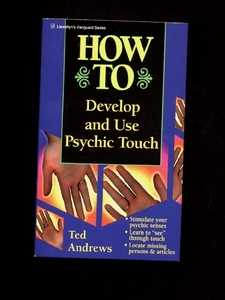 Now here's a way you can capitalize on your innate psychic power as you discover psychometry is a natural and human attribute - "How To Develop and Use Psychic Touch" puts it right at your fingertips! Guidelines, visualizations, methods and tips. Portable 256 page paperback text.